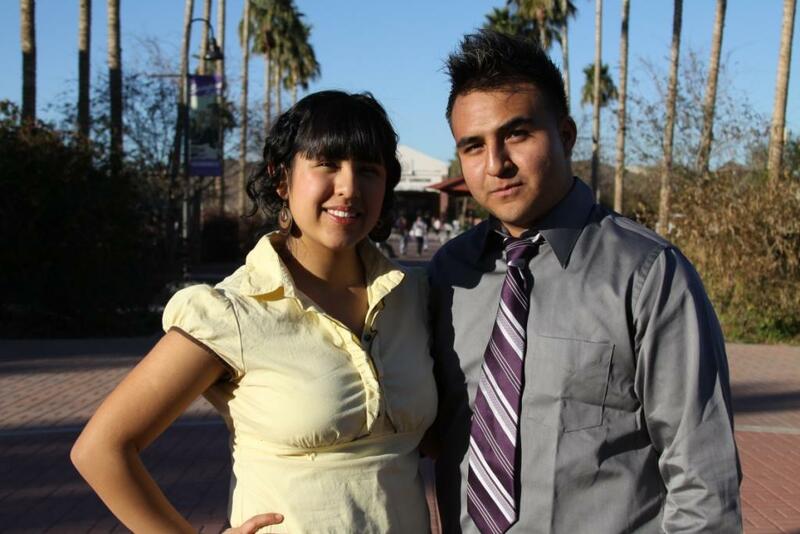 Jose Razo and Samara Carlon are only in their second semester at Grand Canyon University, but already feel the need to serve the student community. The duo is running for ASGCU President and Vice President with an emphasis on building community between residential and commuter students. “Students don’t realize the power they have when they come together,” says Razo. “Together we can change the culture of the University positively. Razo attended an early college high school in Phoenix and earned his associate’s degree before his high school diploma. He experienced many opportunities for leadership in school, including being the first sophomore in student leadership at Gateway Community College. He attended Arizona State University and served as a student senator. Then earned honors as an Outstanding Young Man of the Year by the City of Phoenix. Carlon is a freshman from Peoria High School with experience in high school student council and leadership. She fulfilled roles as senior class president, National Honor Society president, DECA secretary, Dance president and more. Razo and Carlon are both commuter students and want to build more commuter involvement on campus, meaning more events during the day and more intentional outreach. As a former cheerleader and dancer, Carlon wants to build school spirit and energy on campus. She wants it buzzing through the school like electricity. Vote for your favorite ASGCU President and Vice President candidates in the Student Union on February 1-3.